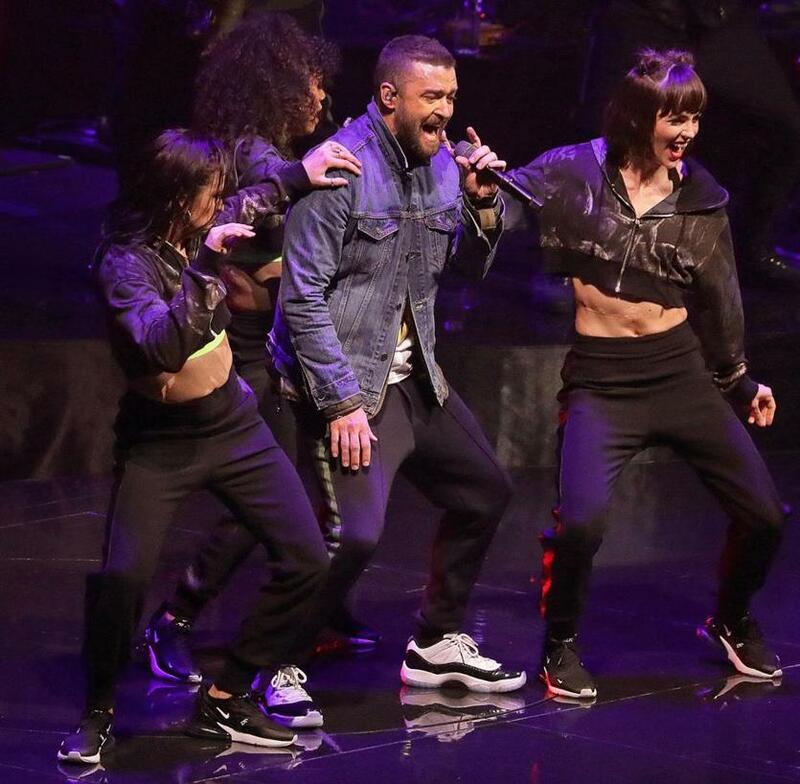 Justin Timberlake and his dancers drew the attention of the TD Garden crowd and their smartphones. How do you take an album that hinges on getting away to the simple life and turn it into a glamorous, arena-packing world tour? On the first of two evenings at the TD Garden, Justin Timberlake tried to do it by alternating the ritzy with the rustic, much like he does on his fifth solo album, “Man of the Woods,” surely one of the oddest releases by a pop superstar in recent years. “I guess I would describe it as ‘modern Americana’ with 808s,” Timberlake said in a promotional video distributed before the album’s February release. You could also call it a half-muted reaction against the highly stylized urban pop that has ruled the 37-year-old singer’s life for a quarter-century. Ritzy glamour dominated the first hour of Timberlake’s two-hour performance, but undercut with casual outfits and attitudes that made the extravaganza feel almost relaxed, like a professional athlete’s seemingly effortless performance during a career-topping late season. 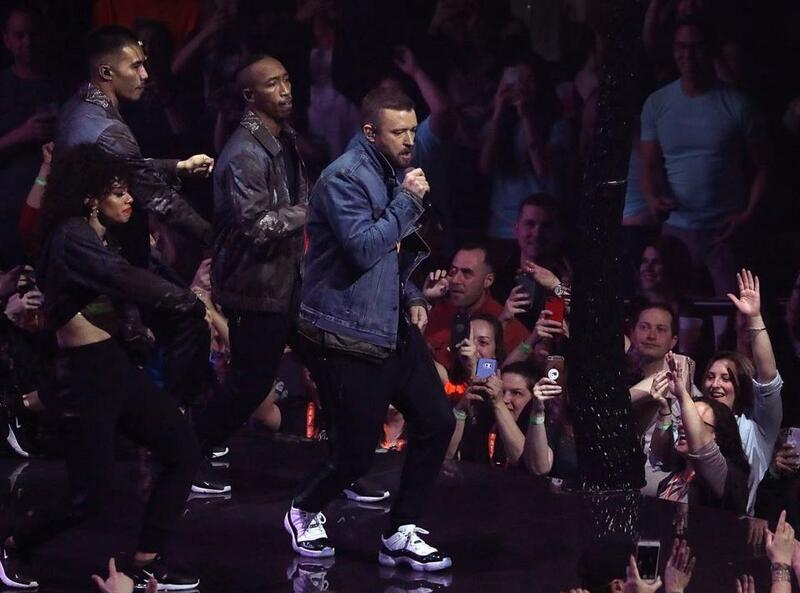 Wearing an open jacket and T-shirt, narrow black sweatpants and glimmering white sneakers, Timberlake tirelessly led six dancers up and down a runway that snaked across the entire arena floor, while lasers beamed, videos projected images on gauzy screens, and a crew of 15 musicians — including four backup singers and a four-piece horn section — blared away on selections new and old. Opening with the current album’s booming first track, “Filthy,” Timberlake also hit career highlights like “Señorita,” “SexyBack,” and “Cry Me A River,” before climaxing with “Mirrors,” a power balled from the first of the two “20/20 Experience” albums of 2013.